Radosław Paulewicz Law Firm of is a law office in Katowice, which provides legal services for companies. We specialize in transformations and restructuring of companies, bankruptcies, debt recovery, services connected with protecting interests of the debtor and legal consulting for companies in a crisis. We represent clients before courts and enforcement authorities in commercial penal, fiscal penal and civil cases. We also advise individuals in the process of consumer bankruptcy. Establishment, liquidation and transformations of companies, whose aim is to better adapt a company to changing economic conditions. 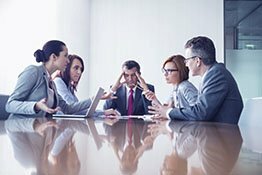 Corrective actions for companies in a crisis in order to improve their business and financial performance. Preparing and conducting company bankruptcy and liquidation processes as well as arrangement proceedings with creditors. Representation in commercial penal and fiscal penal cases, i.e. : charges of acting to the detriment of the company, tax and credit frauds. Representation of creditors in cases of debt recovery. Legal aid for debtors – restructuring of obligations, supervision of bailiff action. Comprehensive legal assistance to individuals who do not engage in an economic activity and face the problem of excessive debts. 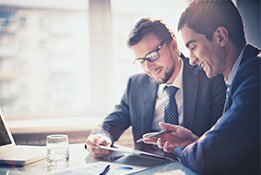 Legal consulting in the current operations of companies. Preparation of agreements, resolutions, regulations. Mergers and acquisitions. Opinions and legal expertises. Legal aid for companies which have found themselves in a situation of an organizational and financial crisis. Negotiations with contractors and creditors. Barrister’s support for companies in the commercial penal, fiscal penal and administrative proceedings. Legal aid, preparation of pleadings in civil and criminal cases. Representation before the court, especially in consumer bankruptcy proceedings. 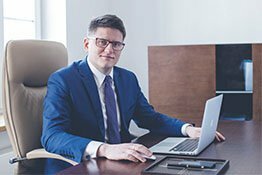 We have been working with Barrister Radosław Paulewicz for many months in the field of current legal services. Thanks to his initiative, we have been able to secure the legal execution of commercial transactions with our contractors and limit the risks involved. I sincerely recommend the services of Radoslaw Paulewicz's Law Firm. They work effectively with a broad understanding of the economic issues of our industry. They always look for unconventional solutions. Radosław Paulewicz showed complete professionalism and understanding of our company's needs. Prior to taking legal action, he thoroughly analyzed the legal and financial situation of the company, which significantly facilitated our cooperation and resulted in good solutions.